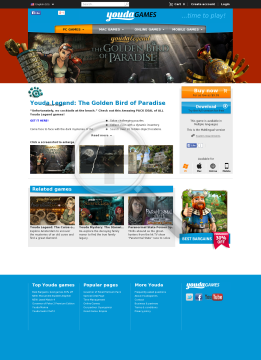 Check out this Amazing PACK DEAL of ALL Youda Legend games! Are you ready for a new adventure and give up your holiday to search for mysteries and reveal another Legend? After your city trip to Amsterdam, this time you have chosen for a relaxing holiday. A trip to tropical paradise. No way anything will come in between that can disturb this! It all seems peaceful, but again the journey will be nothing you expected it to be. The tropical environments will bring you more than relaxing and cocktails at the beach??A???A???A???A???A???A???A???A???A???A???A???A???A???A???A???A???A???A???A???A???A???A???A???A???A???A???A???A???A???A???A???A???A???A???A???A???A???A???A???A???A???A???A???A???A???A???A???A???A???A???A???A???A???A???A???A???A???A???A???A???A???A???A???A???A???A???A???A???A???A???A???A???A???A???A???A???A???A???A???A???A???A???A???A???A???A???A???A???A???A???A???A???A???A???A???A|.. if only you knew. The jungle hides secrets you don??A???A???A???A???A???A???A???A???A???A???A???A???A???A???A???A???A???A???A???A???A???A???A???A???A???A???A???A???A???A???A???A???A???A???A???A???A???A???A???A???A???A???A???A???A???A???A???A???A???A???A???A???A???A???A???A???A???A???A???A???A???A???A???A???A???A???A???A???A???A???A???A???A???A???A???A???A???A???A???A???A???A???A???A???A???A???A???A???A???A???A???A???A???A???A?? ?A?t know of, locals do know more, but do not reveal all??A???A???A???A???A???A???A???A???A???A???A???A???A???A???A???A???A???A???A???A???A???A???A???A???A???A???A???A???A???A???A???A???A???A???A???A???A???A???A???A???A???A???A???A???A???A???A???A???A???A???A???A???A???A???A???A???A???A???A???A???A???A???A???A???A???A???A???A???A???A???A???A???A???A???A???A???A???A???A???A???A???A???A???A???A???A???A???A???A???A???A???A???A???A???A???A|. Questions rise, irreversible decisions have to be made to finally reveal the mystery of the golden bird in Paradise. The only thing you can be sure of??A???A???A???A???A???A???A???A???A???A???A???A???A???A???A???A???A???A???A???A???A???A???A???A???A???A???A???A???A???A???A???A???A???A???A???A???A???A???A???A???A???A???A???A???A???A???A???A???A???A???A???A???A???A???A???A???A???A???A???A???A???A???A???A???A???A???A???A???A???A???A???A???A???A???A???A???A???A???A???A???A???A???A???A???A???A???A???A???A???A???A???A???A???A???A???A|. The Golden Bird has special powers that go beyond every imagination. 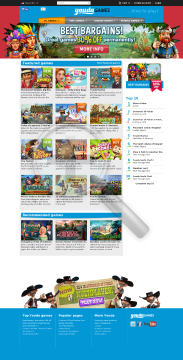 Enjoy the best selection of great casual games on the unique Youdagames game portal. Download all your favorite hit games or play online. Time to play! The dark influence of an old curse still taunts the beautiful city of Amsterdam. Puzzling through old city mysteries and searching for clues you might be on the biggest quest you have ever experienced. After your city trip to Amsterdam, this time you have chosen for a relaxing holiday. A trip to tropical paradise. No way anything will come in between that can disturb this! It all seems peaceful, but again the journey will be nothing you expected it to be. The tropical environments will bring you more than relaxing and cocktails at the beach… if only you knew. The jungle hides secrets you don’t know of, locals do know more, but do not reveal all… Questions rise, irreversible decisions have to be made to finally reveal the mystery of the golden bird in Paradise. The only thing you can be sure of… The Golden Bird has special powers that go beyond every imagination. 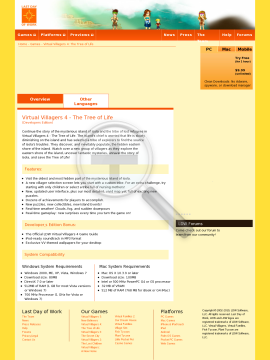 Virtual Villagers 4 – The Tree of Life: Explore the eastern shore of the island, uncover fantastic mysteries, unravel the story of Isola, and save the Tree of Life! 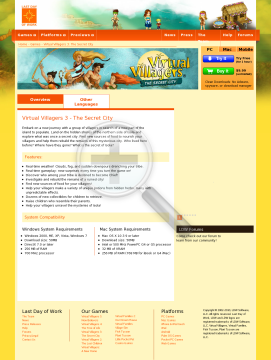 The Official Virtual Villagers 4 Game Guide. Over 40 full-color pages, tips and comments directly from the developer, Arthur Humphrey. Continue the story of the mysterious island of Isola, and the tribe of lost refugees. The island’s chief is worried that life is slowly diminishing on the island and has selected a tribe of explorers to find the source of Isola’s troubles. They discover, and inevitably populate, the hidden eastern shore of the island. Uncover fantastic mysteries, unravel the story of Isola, and save the Tree of Life! Virtual Villagers 3 – The Secret City: Embark on a journey in search of a new part of the island to populate. Land on the northern side of Isola and explore what was once a secret city. Ak pa en resa med en grupp bybor och utforska en ny del av on i Virtual Villagers! Hjalp dina bybor att ateruppbygga resterna av en storslagen stad och att efterhand upptacka dess mysterier. Dra dina bybor for att lata dem leta efter mat, gora upp eld eller bli forskare. Racker dina overlevnadsfardigheter for att avsloja Isolas hemlighet? Tome cuidado e nutrir uma tribo de miniaturas de pessoas, ensinando-lhes as nocoes basicas de que precisam para sobreviver. Mire sua vida quotidiana, enquanto eles aprendem a se tornarem agricultores, pedreiros, medicos, pais e simulacao mais neste jogo em tempo real! Geh mit einer Gruppe von Dorfbewohnern auf Reisen und erkunde ein neues Inselgebiet! Hilf deinen Dorflern, die Reste einer grossÃâÃÅ¸en Stadt wieder aufzubauen und ihre Geheimnisse zu lauften. Lass deine Dorfbewohner Nahrung suchen, Feuer machen und forschen. Sind deineÃâÃÅberlebensfertigkeiten gut genug, um das Geheimnis von Isola aufzudecken? Emprende un viaje con un grupo de aldeanos y explora una nueva parte de la isla! Ayuda a tus aldeanos a reconstruir los restos de lo que fue una gran ciudad y descubre poco a poco sus secretos. Arrastra a tus aldeanos para que puedan buscar comida, encender un fuego e investigar. LograrÃÆÃâÃâÃâas sobrevivir para desentrar el misterio de Isola? Intraprendi un viaggio con un gruppo di abitanti ed esplora nuove aree dell’isola! Aiuta i paesani a ricostruire quella che era una grande cittaÃâÃÂ e scoprine i misteri. Trascina gli abitanti per andare in cerca di cibo, accendere un fuoco e diventare ricercatori. Sopravvivrai per scoprire i segreti di Isola? Partez en voyage avec un groupe de villageois et explorez une ile mysterieuse!! Aidez les a renover les vestiges d une cite autrefois illustre et decouvrez peu a peu ses mysteres. Vos techniques de survie seront elles suffisantes pour percer le secret d Isola ? Take care en een stam miniatuur mensen door ze de basis die zij nodig hebben om te overleven. Doel van hun dagelijks leven, terwijl zij leren om boer te worden, bouwers, artsen, ouders en meer in deze simulatie spel in real time!